A story for all ages, the Sherlock Holmes series has finally come to an end in its last film “Mr. Holmes,” which hits theaters today. Be warned, this is not the action packed Holmes who we have all known and grown to love. Starting in the mid-1940s, Detective Sherlock Holmes captivates viewers with his witty charm and unconventional way of thinking – solving the toughest of crimes. It is not a story just for this generation you see, but Holmes is a detective that captivates the attention of generations of views: grandparents, parents and now the offspring’s of those. With three generations of viewers under its belt, it is time for Holmes to close his final case. Basing this review off of the past two films featuring the cunning Robert Downey Jr., viewers of both “Sherlock Holmes” and “Sherlock Holmes: A Game of Shadows” will be surprised at the obvious redirection of the series. The past two leave off with the anticipation of an unsolved case and then plot twist of Holmes not being dead. Going into the final film, many expect it to be the same cast as always and yet another Holmes adventure filled with brutal fights, intense special affects and of course, the dog that always seems to be brought back to life. Nevertheless, in typical Holmes fashion, that just is not the way that this story goes. Too ordinary, too obvious or expected, he would say. “Mr. 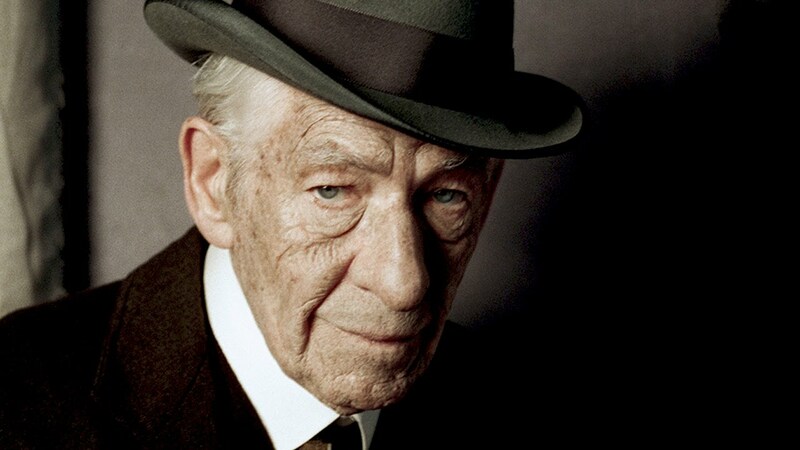 Holmes” is a sad story about the beloved Holmes (Ian McKellen) being diagnosed with early stages of Alzheimer’s disease. The scene is set in countryside England as he stays with a housekeeper, Ms. Munro (Laura Linney) and her young son Roger (Milo Parker), whom Holmes befriends. With the help of Roger and Dr. Watson’s (Colin Starkey), also referred to as John, novels on Holmes past cases, Holmes is able to rekindle his fading memory and write recollections of the cases according to his mind in comparison to his diseased partner, Watson. After working with Roger, Holmes can finally put the case to rest, more for his aging mind than anything. However, he does not leave that to be his last and final case being finished years later. His last case of course, features one near and dear to his heart. As Roger experiences an incident trying to save the bees he and Holmes are so fond of, Holmes is forced to solve the mystery behind what exactly happened to Roger or else both of the boys lives and their future will be stopped all together. “Mr. Holmes” hits theaters today. Watch the master of disguise unfold one last mystery on screen, and as for Holmes, the case has finally been closed. Sherlock Holmes is one of the great characters of literature, spawing as many imitations as one could imagine. This outing for the character does seem, at first glance, a step too far in terms of storyline and believe-ability . As a hypnotherapy practitioner in West Lothian, Scotland, I regularly deal with memory reconstruction, and it shall be interesting for me to see how they portray this in relation to early onset Alzheimers. I really enjoyed reading your movie and I think that I shall take a chance and go to watch this movie. I’m a fan of Ian McKellen’s anyway, so I imagine that his acting talent will help overcome any plot shortfalls!